craniosacral therapy, integrated manual massage and scapular stretch and rotator cuff release. Melissa is determined to provide care with customized treatment to address each client’s needs. Melissa has been practicing since 2004 when she graduated from Centennial College. 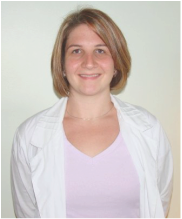 She has continued training and has been certified in Craniosacral Therapy and Integrated Manual Therapy. Let me help you return to pain-free mobility, decrease your stress and increase your sense of general well being. You can book a treatment in your home or work location or a treatment in my home clinic, to provide you with the most comforting atmosphere. Minimum 1 hour appointment for treatments at your home or work location throughout Bowmanville, Oshawa, Whitby, Ajax or Pickering. No extra cost in coming to you. Why hire a babysitter when I can come to you? All I need is an area big enough to set up my table. walk-in appointments or walk-in general inquires. For your convenience, you may download and print off a health history form. The form also restates our policies for cancellations, receipts for insurance coverage, etc. Take a moment to read this information and if you have any questions, please ask. Remember to sign and date and have ready for your initial appointment. How about a treat for you and your friends? Spa Days can be a fun way to spend time together, whether you all want a massage or a whole pampering session. 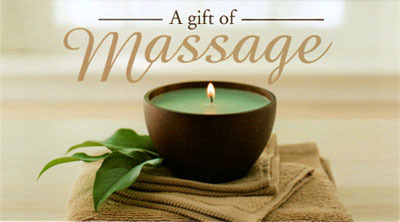 Gift Certificates are the perfect gift for a special event like a birthday or anniversary or to say thank you or congratulations. 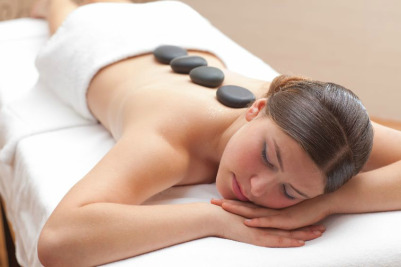 Massage brings so many health benefits, it's great for any occasion. Call Melissa at (905)449-1236 for details. Please contact me by phone or email at least 24 hours prior to your appointment if you are unable to keep your appointment so as to avoid a cancellation fee being charged to your account. If you find yourself in a situation where you are not able to give us the full 24 hours of notice, I will do our best to fill your time and waive the fee. I understand that due to sudden illness, extreme weather, and unexpected emergencies, you may not be able to give 24 hours notice and in those rare circumstances, the fee will be waived. Please note however, that situations such as being called into work or childcare issues are not considered an emergency. If you have unique work/life demands that may affect your ability to honour my cancellation policy, I would be happy to speak with you about other booking options which may suit your lifestyle better! Not calling to let me know you are unable to use your appointment time and simply not showing up is costly for everyone. I lose the opportunity to offer that time to another client in need and your account is charged the full appointment fee. I provide reminders and if you are unsure of upcoming appointments please email or call and I will be happy to provide you with that information. Insurance may offer coverage for treatments through your work benefits program. Please check your individual guidelines as a doctor's note may be required. After your initial assessment and treatment, your therapist may make recommendations for treatment duration and consistency which will be documented in your file. After paying for your session, you will receive a signed receipt to submit to your insurance company. Many insurance companies offer online submissions and make direct deposits within a few days. I do not do direct billing at this time. Treatment protocol is based on our professional assessments and recommendations and is not based on insurance coverage allowances. As Regulated Health Care Professionals we are required by law to issue receipts only when a treatment is performed and payment is received. The receipt must be accurate as to the cost, date and duration of that treatment with the proper name of the patient listed on that receipt. Please note that under no circumstances will I manipulate any of this information. Registered Massage Therapists are a Regulated Health Profession, along with doctors, nurses, dentists, physiotherapists, and chiropractors. Tipping is NOT expected and is left to the patient’s discretion. Please know the best way to "tip" me is to refer your friends and family. As a regular health professional we do not offer "discount" services.